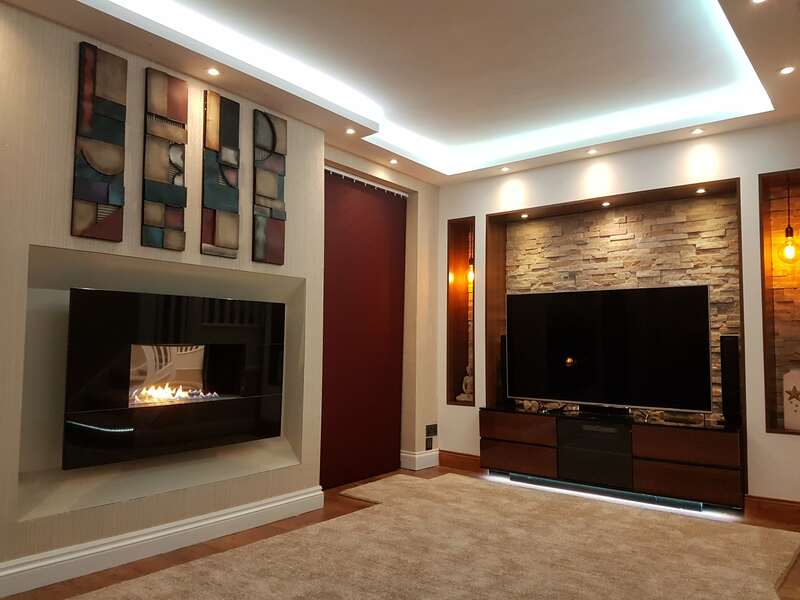 The CLASSICO with Stone Fascia features our open flame flueless gas fire technology, with a mirror interior, and a wide range of fascia options. 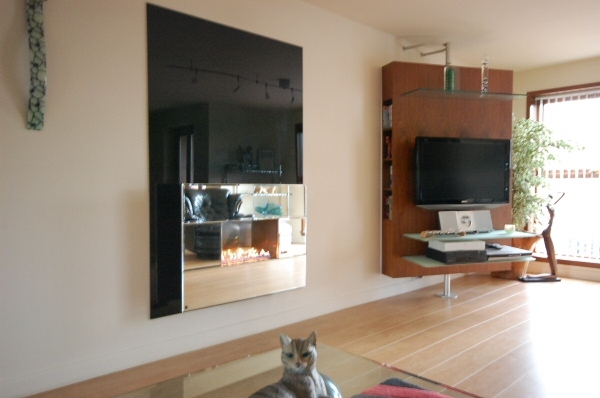 Manufactured to a high standard in the UK the Classico flueless fire has been featured on Grand Designs and won the Homes & Gardens Design Award. Choose from Natural Gas or LPG (Calor Gas) in two sizes (970mm) or (1080mm) and either 2.7kw or 3.5kw heat outputs. The CLASSICO with Stone Fascia features our open flame flueless gas fire technology, with a mirror interior, and a wide range of fascia options. Manufactured to a high standard in the UK, the Classico has been featured on Grand Designs and won the Homes & Gardens Design Award. Choose from Natural Gas or LPG (Calor Gas) in two sizes (970mm) or (1080mm) and either 2.7kw or 3.5kw heat outputs. 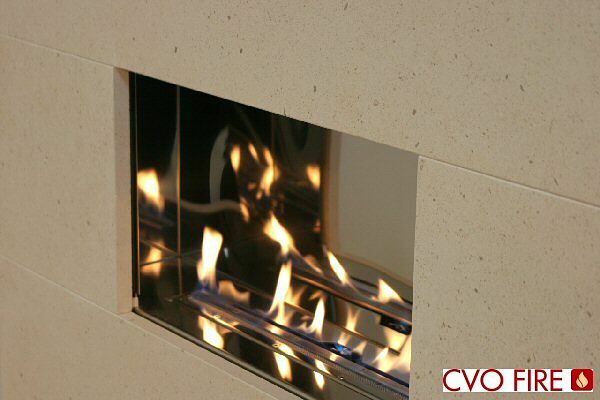 The CLASSICO flueless gas fire: The Classico features all of the technical advantages of the Moderno however has been upgraded with a highly polished interior to create multiple flame reflections within the enclosure. Choose from Natural Gas or LPG in two sizes (970mm) or (1080mm), either 2.7kw or 3.5kw heat outputs and 22 different fascia options. 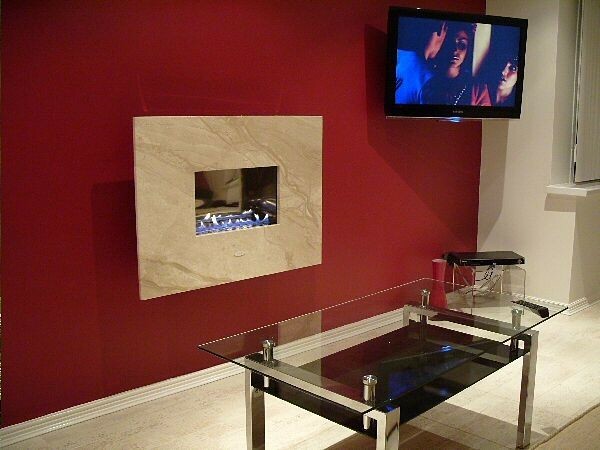 When the flueless gas fire was featured in The Telegraph it was called “A Fire with WOW factor”. 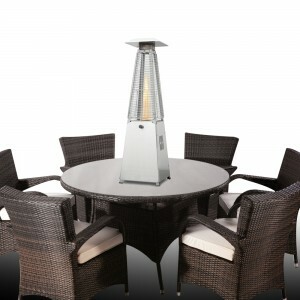 As featured on Grand Designs and the Homes Show. Winner of Interbuild Energy Efficiency Award. Winner of Homes and Gardens Design Award. The 100% energy efficient flueless gas burner will warm up a room nicely while also helping to save money on your heating bills. 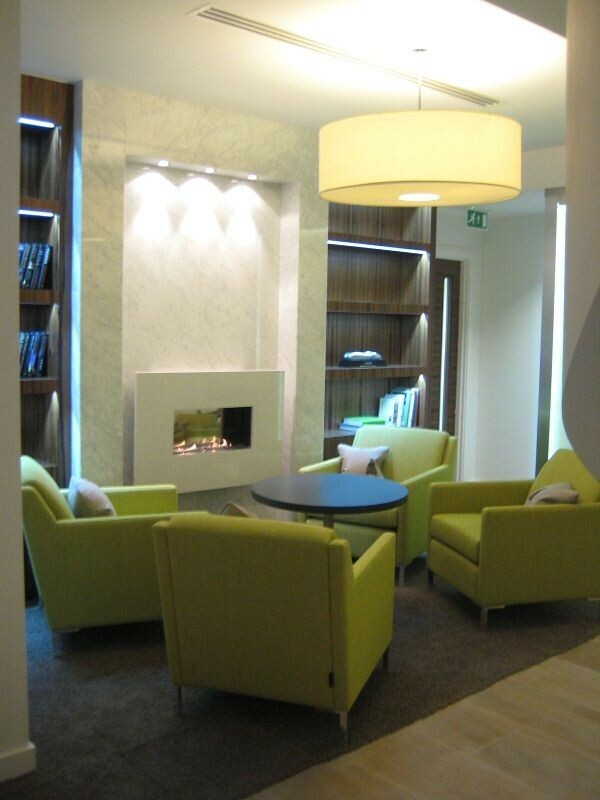 When compared to a conventional fire with the same heat input your energy bills will be reduced by 70%. 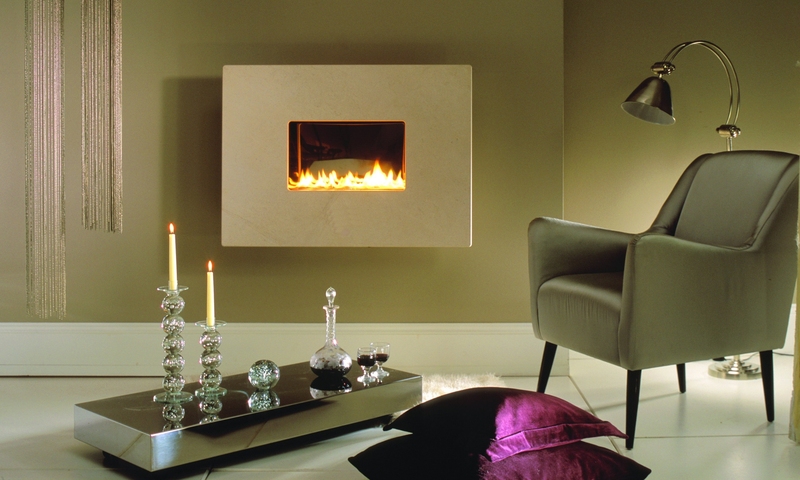 As with all flueless gas fireplaces there is no requirement for a chimney, simply hang the fire on any wall within the room. 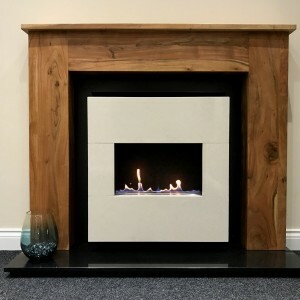 The High Efficiency CLASSICO fireline flueless gas fire is safe and clean burning with our unique open flame gas burner with no glass. All stone fascias are made from 20mm thick stone and are finished to a high quality. Fascia: 970mm or 1080mm wide fascia is various stone finishes (see image gallery). Deflector Gather: The gather must be ordered with the fire and is required if a shelf is to be put above the flueless fire. The size of the shelf is specified in the install booklet. Recess System: This allows the fire to be set into the wall. It is only available for both models. When buying the Recess the Deflector Gather cost is included in the price. Please review the PDF specification to understand how the flueless recess system works. Air Vent: The air vent is shown with a 30% discount when purchased with the flueless fire (RRP £45.71), if sold separately the RRP will be applied plus a shipping charge. It is advised to buy the air vent with the flueless fire as this will ensure a correct installation. 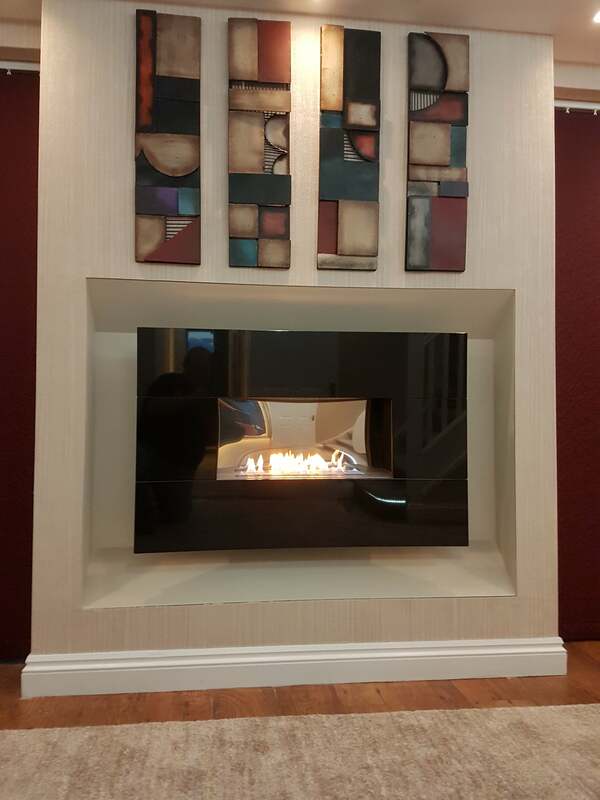 It was very hard to find an open flame fireplace which is 100% efficient with a contemporary style that would match my decor. I had the help of my architect who suggest CVO. 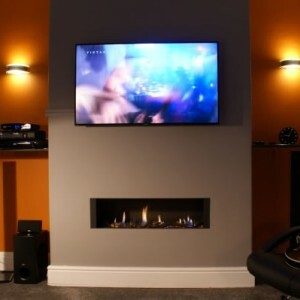 Dear Michelle, We are more than pleased with our widescreen flueless gas fire. 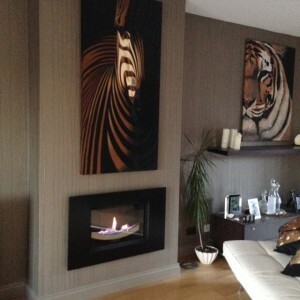 We are finding it most efficient, warm, cozy, very attractive and fits in so well with the decor in our lounge. The service we have had from you and your colleagues at C V O is second to none. We are so glad that we went ahead with the order and would have no hesitation recommending your company both for the product and the good service we have had from you. Thank you so much.